In a range of sizes at competitive prices. 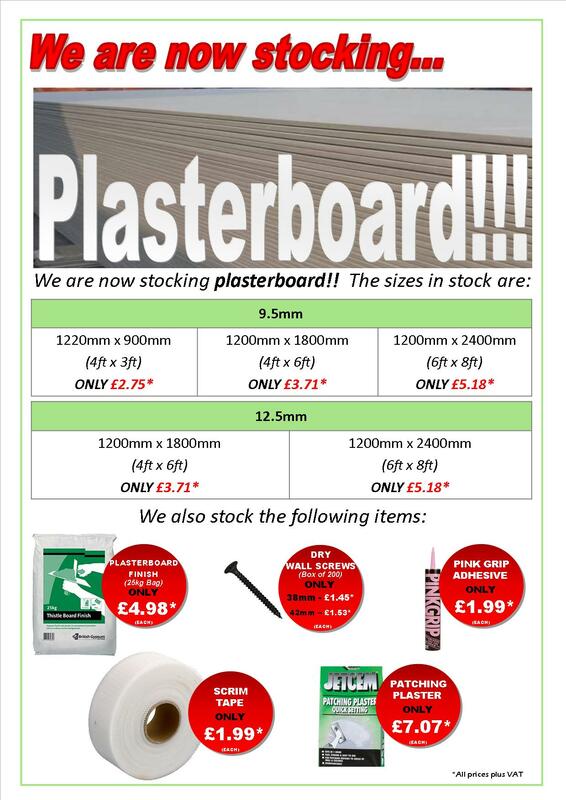 As from 25th June we are stocking plasterboard and related products to add to our extensive range of timber and DIY products. Come and see us to take a look, or call on 01472 350151 to ask for a quote. Sizes available include 9.5mm and 12.5mm in a range of sizes. Also stocking 25kg bags of Thistle Board Finish from British Gypsum. All priced extremely competitvely.